More time for learning – Helsinki’s new challenges published! Lean Teaching – How could we streamline teaching with the help of automation and by eliminating boring and mechanical tasks, for example? Babel Fish. ”Oh, now I get it!” – Language and translation technology to support education. The challenges were defined in workshops held in collaboration with teachers in the autumn. 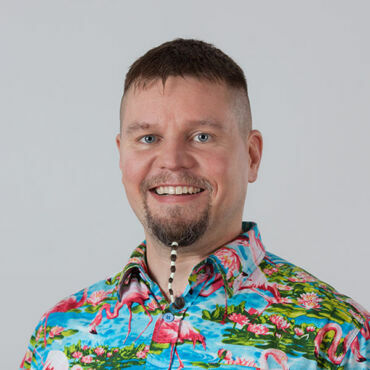 “I am very proud of our teachers, who took the time just before the autumn break to come up with things that could be developed at schools and shape them into challenges to present to companies,” says Project Manager Matti Hämäläinen from Forum Virium Helsinki. Once again, the challenges approach day-to-day work at schools from multiple perspectives. However, all the challenges do have one thing in common. “You could say that the common aim of these challenges is to make more time for learning. The pupils probably think that this means something like going on summer holiday one week early,” says Business Development Advisor Raigo Megerild from the City of Helsinki. Teachers have played a key role in the rapid experiments since the very beginning, shaping the challenges and selecting the products to be co-developed. Now the role of teachers is emphasised as early as the tendering phase. “This time we adjusted our approach so that every invitation to tender also lists teachers under the contact details. This way companies can directly contact schools before submitting their tenders and bounce their ideas off teachers. Or even visit a school to see what their day-to-day is like and think about how their solution could help teachers with their everyday tasks, thus tackling the first challenge,” says Megerild. “It was actually the teachers who came up with this idea, too,” Megerild adds. Companies have until 7 January 2019 to submit their tenders via the oppimisenuusiaika.fi website. Read more about the rapid experiments here. The City of Helsinki Education Division’s first rapid experimentation programme was launched back in September, with 10 companies selected to participate. The ensuing development work was contributed to by approximately 25 teachers and hundreds of pupils from Helsinki. The participating companies’ products were used in practice as part of teaching, and their co-development was planned in collaboration between the participating schools and companies. Contracts were prepared for each pilot, and things like the companies’ data protection issues were also checked. “It would seem that the majority of the companies selected are participating in the rapid experimentation programme in the hopes of gaining general customer understanding. Some of the companies also have clear development targets, such as tailoring a product to make it suitable for schools or developing some new feature, for example,” summarises Business Development Advisor Raigo Megerild from the City of Helsinki. The rapid experimentation programme, also known as Agile Piloting, is based on the City of Helsinki’s aim, as defined in the City strategy, of serving as an innovation platform on which companies can develop new products and services in collaboration with residents. In the Education Division, this operating model is being built within the framework of the 6Aika project ‘The Smart Learning Environments of the Future.’ Currently the associated range of services includes only the rapid experimentation programme, but the aim is to also create services for companies whose products are in earlier stages of development. Forum Virium Helsinki is the innovation unit of the City of Helsinki, which aims to build Helsinki into the most functional smart city in the world in collaboration with companies, the scientific community and residents.